Serving Aquarium Lovers since 1967! House of Tropicals will be closed Sunday, April 21st 2019. House of Tropicals carries one of the largest selection of Salt Water Fish in the Mid-Atlantic Region. House of Tropicals carries one of the largest selection of Fresh Water Fish in the Mid-Atlantic Region. Specials Stop by our store in Glen Burnie to see one of the largest selections of corals & inverts! 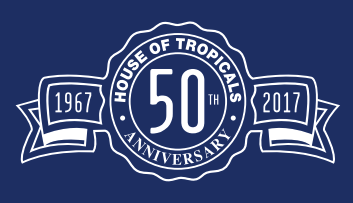 House of Tropicals has been in business since 1967 because we take care of our customers.